This is a famous passage from the Ramcharitmanas of Sant Tulsidas. 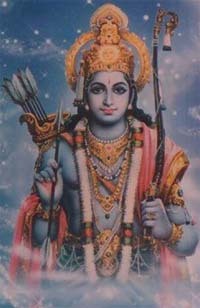 Bhagavan Sri Ram here advices Vibhishana regarding the qualities needed for success in life. The advice is explained in the form of a chariot which is needed for victory. The chariot symbol of Sant Tulsidas is very famous with the readers of Ramayana – Ramcharitmanas. Bring a chariot if it is obligatory for victory. Horses of strength, wisdom, self-control and goodness. There is no other way of victory. Success in life is only possible when we achieve the above said characteristics.